Our grandparents are the first persons to spoil us since birth. They have taken care of our parents when they were young. Yet, they love their grandchildren more than their child. We feel remorse whenever we hear news about grandparents being abused and taken advantaged by bad people. 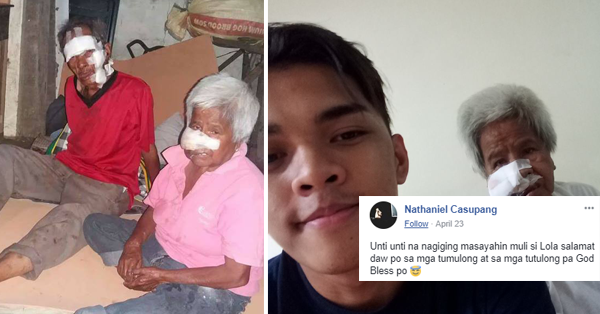 In a recent viral post from Nathaniel Casupang, an old couple from Lucban, Quezon was robbed by unidentified burglars from their home while sleeping. The robbers are able to steal four thousand pesos from Lola Tessa and Lolo Roberto. Moreover, the burglars also hit them with an adverse object. Casupang is a concerned neighbor of the old couple. He posted the incident on social media and so many have expressed sympathy and offered help for Lolo and Lola. Nathaniel posted an update regarding the present condition of the two. He also mentioned that alongside private netizens, some church priests, GMA news, and Ruru Madrid send out financial help. Casupang is thankful and grateful because blessings are outpouring for the old couple. Despite receiving help from various persons and organizations, there were people who have expressed doubts about Casupang's intention to help Lola Tessa and Lolo Roberto. However, he proved his good intentions, even invited the people to drop by in their place to see the couple. A netizen confirmed that Nathaniel is a neighbor of the two and personally knows the victims. The confirmation brushes off the doubts of some netizens claiming that Casupang is just using the old couple to shell out money. The old couple is currently living in a private home all thanks to those who have extended help. As of today, the robbers are still unidentified. 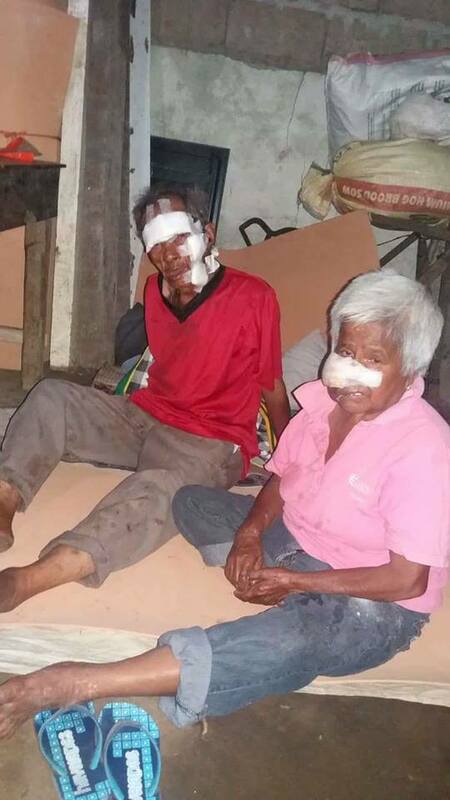 Lolo Roberto and Lola Tessa are now recovering from wounds inflicted by the robbers.